What Are Goji Berries and Where Do They Come From? Are They Healthier Than Other Berry Varieties? Goji berries are probably something foreign to you that you have never heard of before, or something that you have only heard of recently. Goji berries are just now gaining popularity in western cuisine, yet have long been a part of eastern cuisine for thousands of years. Goji berries are obviously a type of berry similar to that of a cranberry or cherry, however it provides many more health benefits. 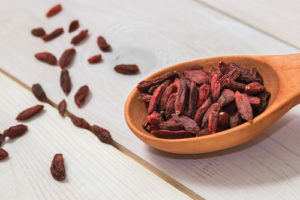 Cranberries, cherries and other berry like fruits are very beneficial themselves, however goji berries are arguably the most healthy, beneficial berry we have available in our diets. There definitely is plenty of evidence as to why these berries are so beneficial to our health, and here is a short list of why you should be eating them. 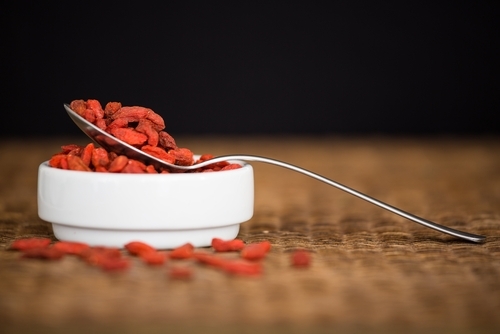 Why Should You Be Eating More Goji Berries? Berries have more antioxidants than pretty much every other food source out there, and Goji berries provide the most of all. Antioxidants are essential to proper immune function in that they neutralize free radicals which cause a variety of health issues. Antioxidants also help to reduce levels of inflammation, which is an early sign in the development of many diseases. Goji berries are also a pretty good source of protein especially when it comes to other berries or fruit, weighing in at approximately 4 grams per serving. Gogi berries are also a great source of other trace minerals which we need to function, things like manganese, selenium, zinc, iron and other trace minerals. Goji berries are one of the healthiest foods by weight, providing many other benefits as well such as maintenance of eye sight through its high volume of beta-carotene. One of the biggest benefits that any berry provides to us in the form of antioxidants, and how they can fight disease. Two of these antioxidants in particular, vitamin A and vitamin C are particularly effective in fighting diseases including the flu, common cold. 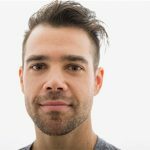 Recently is has been discovered that they are effective in fighting various forms of cancer too, in their ability to not only fight active cancer itself, but to decrease inflammation and toxins that cause inflammation which in turn cause cancer. This means that Goji berries along with blueberries, blackberries and raspberries are especially effective in doing so. As mentioned earlier, Goji berries contain a high amount of beta carotene, which is not only important in maintaining the health of our eyes but our skin as well. Beta carotene helps to maintain healthy skin while at the same time treating potentially cancerous skin tissue. This makes sense considering the high amount of antioxidants it has including beta carotene, and what the sun can do to our skin. Just being exposed to the sunlight causes skin damage in the form of free radicals which can cause cancer. Eating foods high in antioxidants which effectively fight free radical damage makes sense in the effort to combat skin cancer and aging. 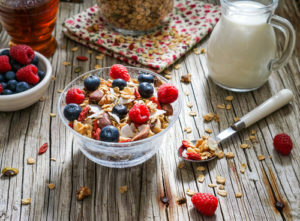 Berries probably aren’t the first thing you think of when it comes to an effective diabetes fighter, because berries are naturally high in sugar. This isn’t an issue because berries are naturally high in fiber as well, Goji berries included. This high fiber content slows down the digestion and absorption of these sugars in to the blood stream, which helps to stabilize blood sugar levels and reduce our chances of developing diabetes. This is why it is so important to look further than just the sugar or caloric content of a food when determining how healthy it is for you. Goji berries may be slightly high in sugar but because of their high fiber content it more than makes up the difference, making Goji berries a much healthier snack than most other alternatives out there. How Should I Use Goji Berries? Where Can I Buy Them? You might not be able to find Goji berries at your local supermarket, if so they should be in the section with the other fruits and herbs. If your supermarket doesn’t carry them, try a local Asian market or health food store which definitely will. Goji berries can be used as a food additive like you would with other berries, and have a sweet and tart taste. The best comparison to make here would be to cranberries, making them excellent additions to salads and oatmeal for example. Like other berries make sure to use them in moderation, as they do contain a decent amount of natural sugars.